The product is described as an article or item, which is offered by the company for sale, in exchange for money. We all know that it is the features of the product that attracts and retains customers for a long time, but the role of branding and packaging is also substantial. Branding is used to assign a unique identity to the product so that customers can easily differentiate it with other products available in the market. Now coming to, packaging, it ensures the protection of the product from any damage or pilferage. Further, it also helps in product promotion, at the point of purchase. So, a brand can be displayed clearly with the help of package. In this article excerpt we’ve made a comparison of branding and packaging in a detailed manner, so take a look. Meaning Brading is understood as the act of creating a unique image of the product to build trust and attract customers. Packaging implies the process of designing and creating the container, cover or wrapper in which the product is packed. Objective To differentiate the product from competitor's product. To ensure protection and promotion of the product. Integrates Components like color, sign, visual imagery, etc. Components like color, description, logo, etc. Helps in Retaining customer and increasing loyalty. Getting customer's attention. Branding is defined as a continuous process, through which the marketer attempts to establish a long-term relationship with the customer, by identifying their changing needs and wants and supplying such products which satisfy them. Moreover, with the help of branding a product is easily identifiable. Branding can be used as a marketing tool, which creates awareness about the product in the mind of the target customers, about the authenticity of the product and the satisfaction received by them through it. For an active branding, the marketer should create brand value to the customers, i.e. the consumers must be convinced that there are substantial differences between products offered by different brands, only then they are going to buy it. A brand conscious customer usually goes for a brand he/she trusts and hardly makes any effort to switch to another brand. Packaging, as the name suggests, is the process of designing and producing an attractive packet, wrapper, or cover, in which the product is going to be sold to the customer. It includes all the activities involved in creating a container, for containing, handling and protecting the product. Communicate information, both descriptive and persuasive. Act as five-second commercial, at the point of purchase. Primary packaging: Immediate packing of a product, for instance: glass bottle of cough syrup. Secondary packaging: Extra packaging given to ensure the protection of the product. For instance: cardboard box to keep the glass bottle of cough syrup. Transportation packaging: It is also called as final packaging, that is given for proper storage and transportation, for instance: cardboard cartons in which the cough syrup is transported. 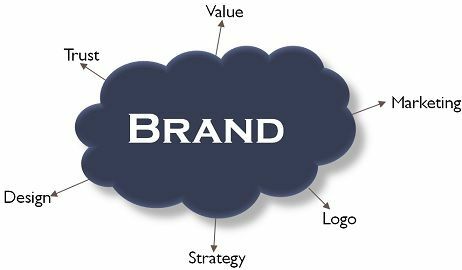 Branding is the marketing strategy, in which the marketer uses a name, mark or symbol of a product, to make it easily identifiable by the customer, from the products offered by other competitors in the market. On the other hand, packaging refers to all the activities involved in designing and creating a cover or wrapper for the product to make it ready for sale and transport. Branding focuses on identification and thus differentiates the product from other products in the market. Conversely, packaging aims at promoting the product at the point of purchase and also ensuring protection, during transit. Branding is all about the colour, symbol, slogan and visual imagery of the product. As against, packaging integrates components such as the colour, design, description, fonts, logo and so forth. Branding is helpful in retaining and increasing consumer loyalty, as well as introducing a new product under the similar brand. In contrast, the packaging is helpful in drawing customer’s attention, with its design. To promote the brands, all the companies often develop a different ‘look and feel’ of the product packaging which draws the attention of the customer and makes comfortable with the presentation itself, to pick their product above other products in the market.